Packing is the only thing that can slow down the moving process. Imagine living in one place for some time and the number of items that can be accumulated, and then having to move them out with you. 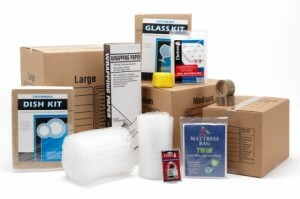 Each of these items needs to be taken care of, as the packing process can be tedious and can injure some of these items. It is sometimes even more wearisome than looking for a new place to call your home! This is why there is an advantage to getting our services because not only do we move your precious things, we also pack them for you – carefully and properly. We offer a variety of options from safely transporting fragile antiques, glass ware, amongst many others. All you have to do is to let the moving coordinator know what your preferences are and they can help you choose the right service! You do not need to worry about the service that will be given as all of the staff, especially the ones who will pack, are trained and experienced to ensure that all of your belongings are wrapped safely for transport. We can also ensure that packing will not take up too much time and will not cost as much. The packing service that we provide is just as good of the moving service that we are prominently praised for, hence, no need to worry about sending all your belongings safely and complete.